Thicker than Water edited by Don Meyer. Thirty-nine adult siblings reflect on how their lives have been indelibly shaped by their relationship with a brother or sister with special needs. This book reveals both positive and negative aspects of growing up with someone who might have received the lion s share of his parents attention or who now requires extra support as an adult. 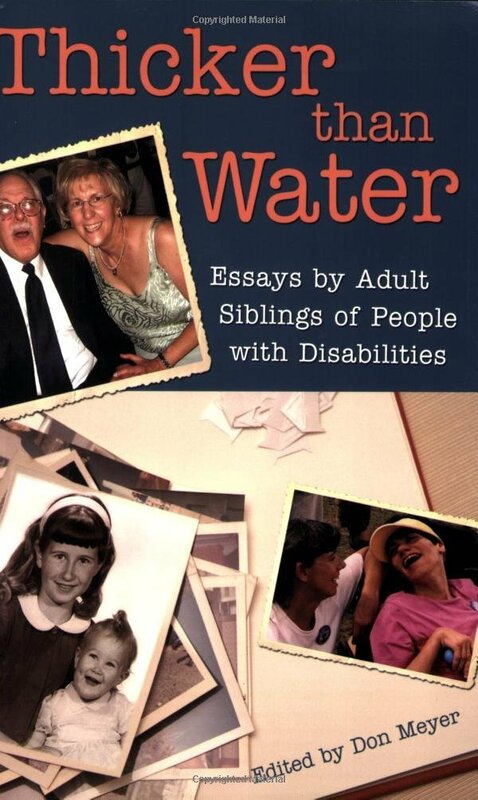 These compelling essays express a diverse range of sibling experiences and attitudes. Pp. 226.